Use this Terminal Slide with 1" Ball Mount from Nimar as a support base for their NI90 13" Articulating Aluminum Arm for underwater lighting, or another arm with 1" ball mounts. The unit can serve as a spare or replacement for one of the two included with the NI90. It connects to the arm by way of a ball-joint clamp, two of which are also supplied with the NI90. A T-shaped opening in the Terminal Slide enables attachment to the T-mount on the grip handle of an underwater camera housing tray. Additionally, a grooved side knob enables easy tightening and loosening. The durable unit is constructed from an aluminum alloy that has been anodized to resist corrosion. 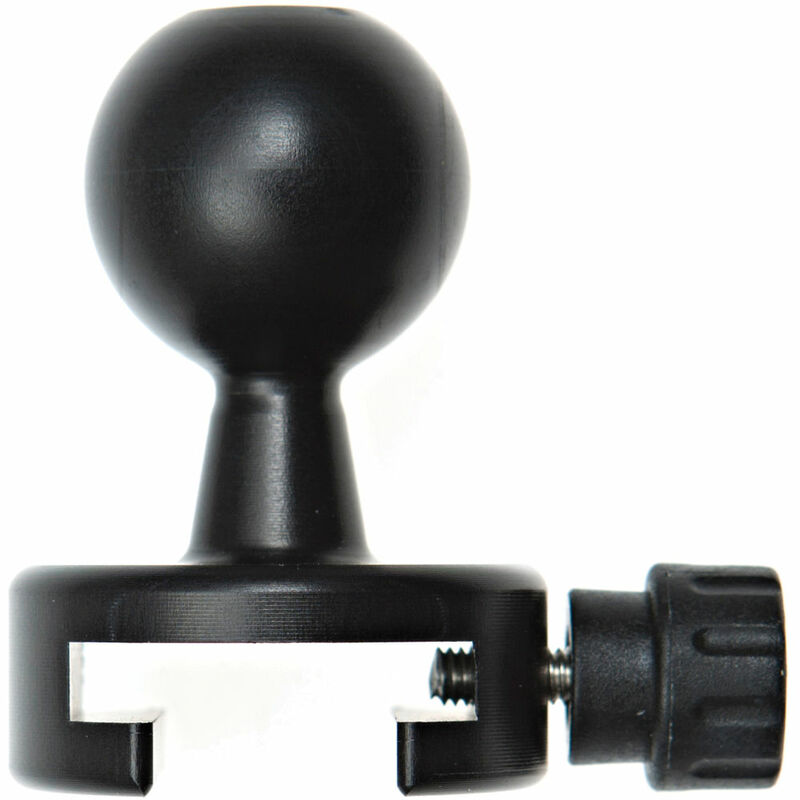 Terminal Slide with 1" Ball Mount for Lighting Arm is rated 5.0 out of 5 by 1. Rated 5 out of 5 by Mantakarl from Arm Attachment Ball I use this slide on my Nimar DLSR Housing for underwater photography. The ball mount slides onto and secures to the top of the side handles via the T-Slot grooves, and has a locking screw to hold it in place. The 25mm diameter is very close to 1; and works fine with normal 1 ball strobe arms and clamps. The only complaint is that it does not have an O-Ring in the ball like the ball fittings on many other brands; so i have some concern about slipping when the strobes are extended out to their max....but so far seems to tighten up O.K.